Florence Side Table intends to give a unique floating effect to the stored objects. The angled frame with its light and delicate simplicity provides balance to the invisible storing concept. It aims to showcase a graphic appearance and minimalistic design. The idea behind Florence was to create a display item for internal use to emphasize the collection with focus on the materials. With its unpolished raw beauty it will transform your home into a private art gallery. 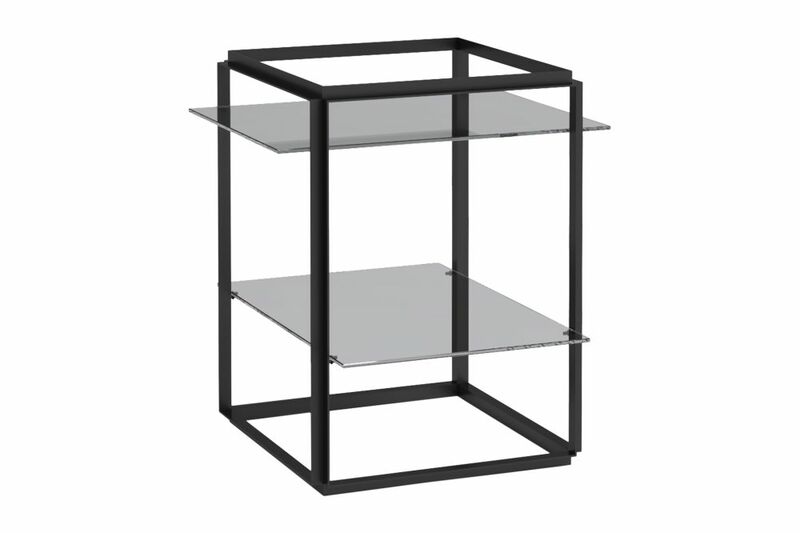 It comes in two different looks and three sizes – a side table, medium shelving unit and large shelving unit.